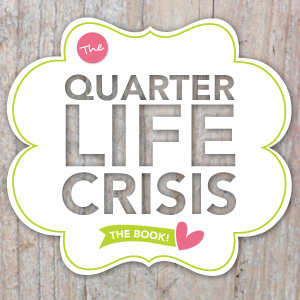 Quarterlife Crisis Book! – write. play. repeat. Many of you may remember that I was a blogger for Stratejoy awhile ago, and had a great time spilling my guts about my own quarterlife crises. Well now, Molly Mahar has taken some of the best of the Stratejoy blog posts and compiled them into a delicious eBook. This would be a fantastic holiday gift for yourself of any woman you know who might be going through the trenches of her own QLC. The stories here will inspire, make you giggle, make you want to drink a cup of tea and talk with your best girlfriend. For a limited time, they’re only $10 – totally worth it for the fuzzy feelings it will give you.